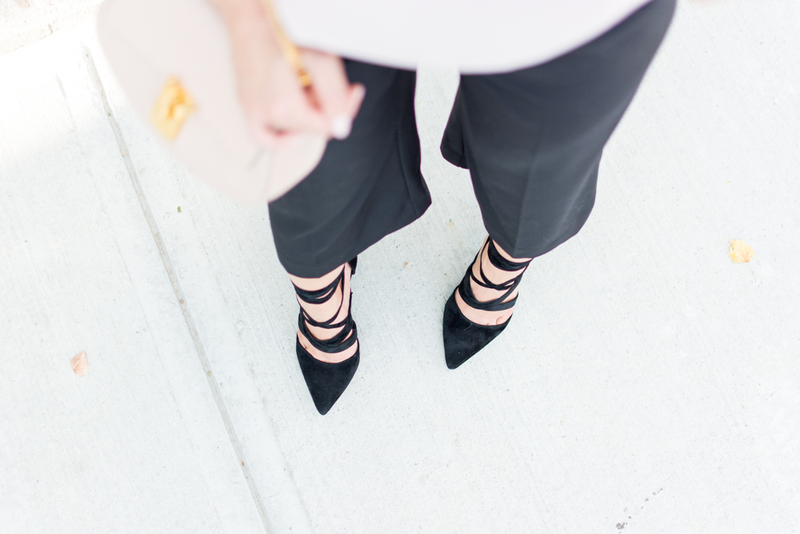 OOTD - Lace Up Pumps | La Petite Noob | A Toronto-Based Fashion and Lifestyle Blog. As the weather cools and the days get shorter, I find myself gravitating pieces in my wardrobe are a bit darker and moodier. That must be why when I saw these black velvet, lace up pumps I knew that they has to be mine. I love the interest that the straps give to an otherwise very basic outfit; case in point, I actually wore this exact ensemble to work prior to the photos being taken and the shoes completely changed the entire outfit. Also, can we talk about these black culottes? Another Le Chateau find, I wasn't sure if I would get much use out of them when I picked them out - and have since worn them countless time! The pants have a built in, adjustable belt at the waist so it's perfect for us small-waist-big-booty ladies. I have a feeling that these culottes will be in heavy rotation well into Fall. What do you guys think? Are you into the lace up pumps? 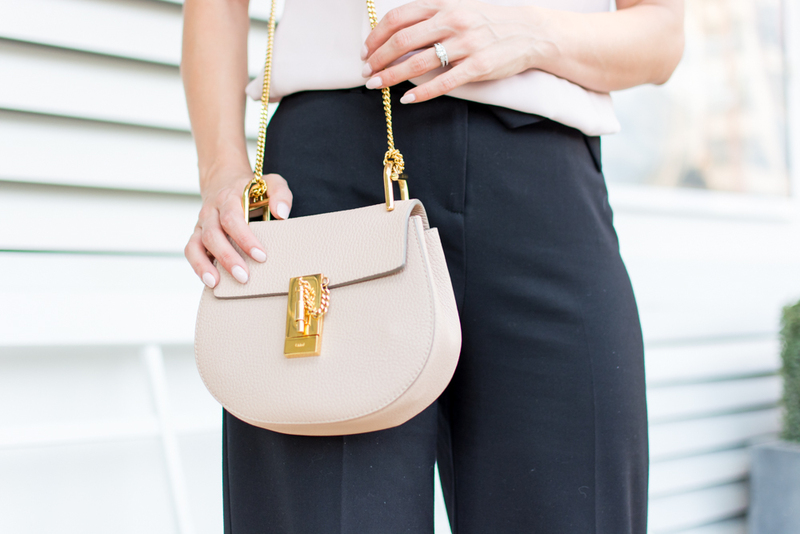 How has your personal style changed as we go into Fall? Let me know! Love the look, Joëlle! Those shoes are made for you! I'm totally with you on bringing out the moodier pieces now that September has hit. It's crazy how much even the slightest shift in weather can affect personal style! Kind of excited for light layers already! I go from wearing a lot of white, olive, and navy in the summer to wearing grey, black, camel, burgundy, olive, and autumnal shades like mustard yellow or a smokey orange! You look great! I can't seem to get into culottes but they really suit you.. Looks like you need some more colours now!